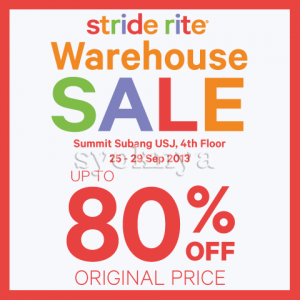 Stride Rite’s WAREHOUSE SALE is back! Enjoy unbeatable discounts of up to 80% OFF kids shoes, socks, bags, apparels & jewellery! Visit the SALE at Summit Subang USJ, 4th Floor, 25 - 29 Sep 2013, 10am - 8pm daily. Hurry! While stocks last! T&C apply. For over 90 years, the Stride Rite has designed and engineered footwear specifically to meet the needs of growing children and specifically for busy little feet! Products: Premium children's footwear for kids ages 0 to 10 years old under such brands as stride rite, Saucony Kids, Sperry Top-Sider Kids, Keds Kids, Robeez, Jessica Simpson Kids and others. Kindly visit to Stride Rite facebook & website at https://www.facebook.com/strideritemy & http://www.striderite.com.my/ for more details. TIP: Have difficulty to the location? 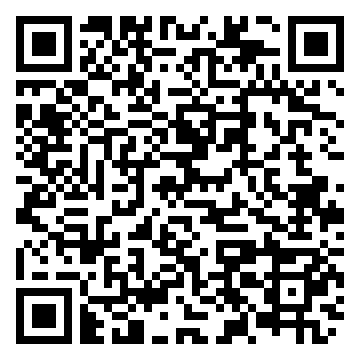 Let us guide you by using your Smartphone GPS Navigation Apps (Waze, Apple Maps & Google Maps). 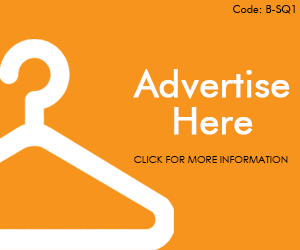 - Tap on the tab "Map"
Kindly 'Share' this advertisement with your FB network if find this good and 'Like' Syoknya Malaysia page, thanks!